Adamstown is a small town that has developed a national reputation. This small community located just off the Pennsylvania Turnpike is packed with antique shops and flea markets, including up to 5,000 antique dealers. Most are antiques dealers are located indoors year-round. However, during the warmer months the activity expands even more as many additional outdoor markets open. 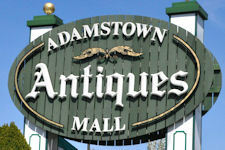 Throughout the Adamstown area you’ll find a variety of antique shops, malls, showcases, and galleries. Here is a helpful listing of the individual shops and malls you’ll find here. Adamstown is also home to some interesting Specialty Shops, including two local breweries. Not every shop is open seven days/week. Some are only open on weekends. You can check individual store hours here. 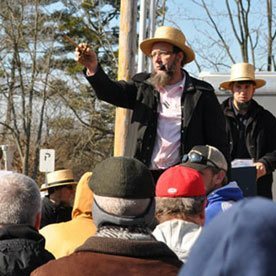 Three times during the year Adamstown hosts an Antiques Extravaganza event, where you’ll find more stores and antiques displays and longer hours. Check here for extended store hours during these Extravaganza Weekends. There are additional Adamstown Events taking place throughout the year. See their Events Calendar for details. 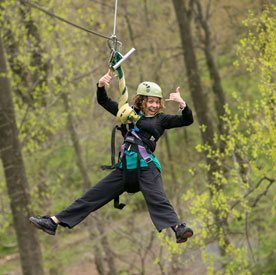 You can also find a selection of local and nearby restaurants and lodging properties (including hotels, bed and breakfasts, cottages, and a campground). Adamstown is located in the northeastern corner of Lancaster County, just off the Pennsylvania Turnpike (I-76). You’ll find antique store after antique shop as you travel up and down Route 272 through Adamstown.